You probably know that any time you’re going to play online poker; you’ll have to download some software. You also probably know that most online poker rooms try to make sure that you get the best experience possible with the software that they offer. 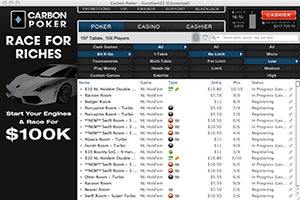 What you might not be thinking about is that if you play on more than one poker room, you’re going to have to download more software. So, over time, that can really add up and take a ton of memory on your computer or Mac. Now, when you choose to play with Merge Poker (www.mergepoker.org) and download their software, you’re going to find that you get to enjoy endless features, and will have the flexibility to play at many great online poker rooms with just one download. At Merge Poker, the goal is for players to be able to enjoy the online poker experience, tournaments, more winnings and promotions – all from one site. One of the most important parts of this particular online poker site is the software. That’s why the Merge software gives players the ability to play on any of their poker rooms with just one account. It’s super simple and everything is streamlined. The ability to show one card to your opponents. This is a fun way to psych them out and let them know that you’re definitely not bluffing. More than one window. 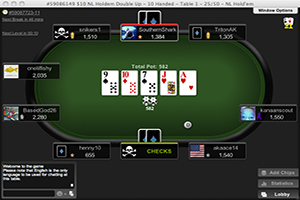 This feature allows players to enjoy more than one poker game at a time, without having to flip between sites. You’ll never miss an important move again. The time bank. This is how you can avoid running out of time when it’s your turn. Sometimes, your next move requires some thought – the time bank will give you the extra time you need to make the right choice for you. Bounty tournaments. This is where you get to win prizes for eliminating your opponents – and that can really add up. Shootout tournaments. In this type of tournament, you might find that you’re facing elimination or moving up to the next round. Different opponents every time means more excitement than you might have imagined. Accolades. We all want our opponents to know how great of an online poker player we are, but some sites don’t provide you with this option. These are just a few of the great features that you can enjoy when you choose to download the Merge Poker software, but there are also other benefits to choosing this online poker room. Take the fact that players get the chance to enjoy many, many more exciting tournaments; take advantage of more VIP point’s earnings; and have more variety in every aspect of the online poker experience. Then consider the fact that you can get all this from just one software download, and you’re likely to wonder why you hadn’t downloaded the Merge Poker software before. Save the memory in your pc or Mac and play the way you want to play today.